It’s December! We’re down to the last month of the year, and it’s your best chance to head over to Kerala before we ring in the New Year. Kerala typically enjoys a warm, pleasant December with very little rainfall. The sun’s soothing rays and the lower humidity make it perfect for a winter destinations in Kerala. If you’re currently in the grips of winter, take a break from the freezing temperatures and enjoy a relaxing vacation in God’s own country this month. It’ll be something to cherish for the rest of your life. 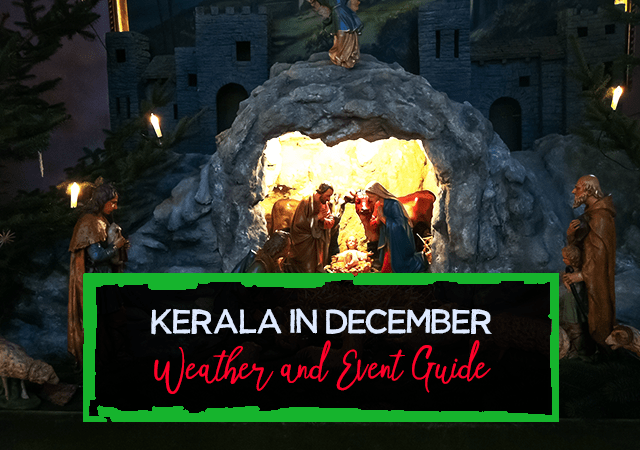 In this article we outline what the weather will be like in Kerala this December, what you need to be prepared for and the major events in the state that you can experience during your trip. The temperature in Kerala will be more or less the same as November. This is the usual trend this time of year and there’s not much variation in the temperatures towards the end of the year. The average temperature across the state is expected to be around 27 °C or 81 °F throughout the month. The average temperatures are expected to mimic November to the exact degree. The only difference is that there will be a bit more sunshine and a lot less rain. Here’s some more information on the Kerala weather during December. The monsoon has passed and the sun will be out most of the month. You’ll notice there’s an increase in the number of sunshine hours during the day, when compared to previous months. The chances of rainfall too will drop from 20% at the beginning of the month to a mere 4% towards the end of the month. Overall, Kerala is likely to receive just 69mm of rain in December which will be spread across 4 days. It’s most definitely not going rain during your vacation in Kerala. But if it does rain, it’ll probably be just a drizzle or a brief thunderstorm. As the possibility of rain decreases during the course of the month, so does the cloud cover. So, you can expect a lot of sunny days during your trip to Kerala this December. Considering that it’s going to be pleasantly warm and sunny, you need to pack clothes that are both light and airy. Do carry a hat to shield you from the sun, especially if you’re going to be out during the day. The nights won’t be too cold, so you don’t have to carry woolen wear. Even if you’re visiting the hill stations, a light cardigan will do as the cold will be bearable. Here are some precautions you can take if you’re travelling to Kerala this December. If you’re planning to be outdoors during the day, drink plenty of bottled water and fresh juices to keep yourself hydrated. Use adequate sunscreen, stick to shady spots as much as possible and keep your head covered when you’re out in the sun. Slather yourself with mosquito repellent too, to keep vector diseases at bay. If you’re planning to tour remote locations, don’t hesitate to get the help of an experienced local guide. Keep you travel documents, gadgets and valuables secure so they don’t get lost during your trip. Considering the absence of rain this month, it’s going to be easy to travel through Kerala. You can use autorickshaws or taxis for short distances. There are also adequate buses and trains covering all of Kerala, so travel will be quite convenient. Christmas is not the only highlight in Kerala this month. There are many more cultural and religious festivities you can participate in during your trip. Here are some of them. 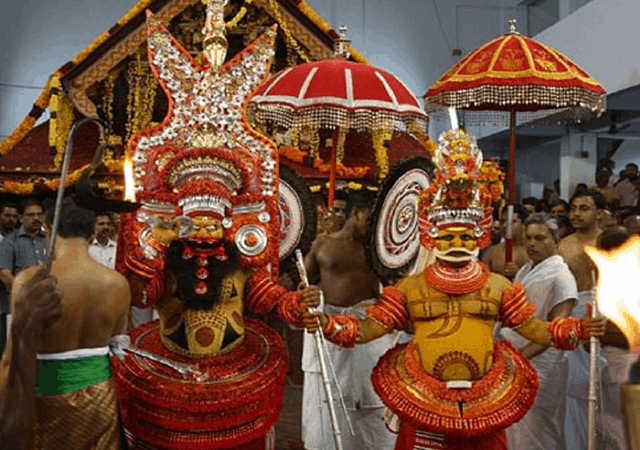 Celebrated at the Sri Muthappan Temple in Parassinikadavu, Kannur on 2nd December, the festivities at the temple include offerings of fish given to the deity and dogs being revered and served first. This is an annual 10-day Theyyam festival which will be held between 7th and 16th December at Perumthitta in Kasaragod district. 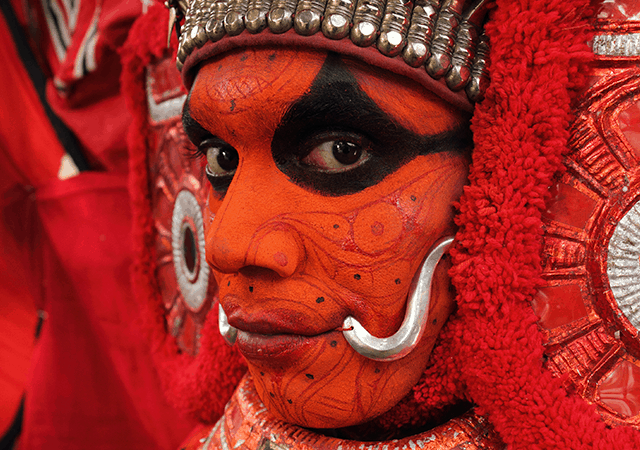 The festival features talented Theyyam performers who don the roles of ancestral spirits and heroes. 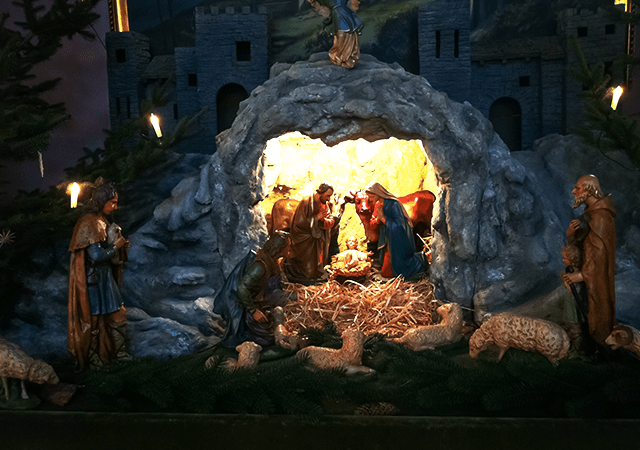 The worldwide celebration of Christmas on 25th December extends to Kerala as well. People of all faiths decorate their homes, participate in traditional feasts and share the joy of the season. 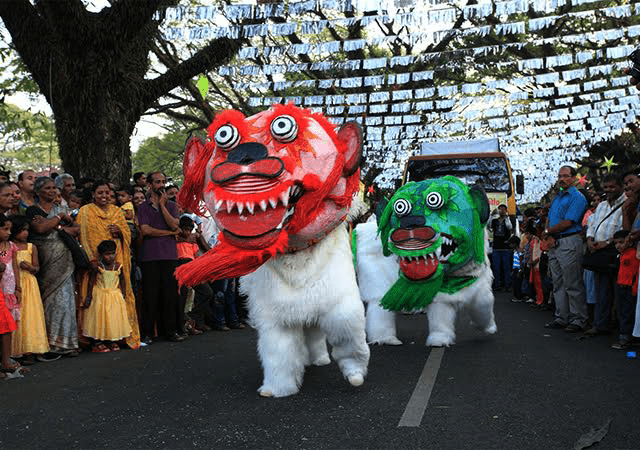 The Cochin Carnival is organized at Fort Kochi in Ernakulam during the last two weeks of the year. Spectacular events involving cultural shows, food fiestas, races, rallies, sports, art and games will be held between 25th December and 1st January this year. 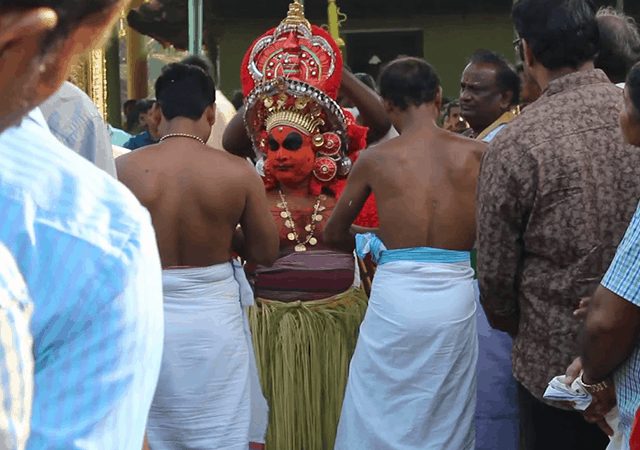 This is another prominent Theyyam festival that will be held in the Kanathoor village in Kasaragod between December 28th and 1st January. 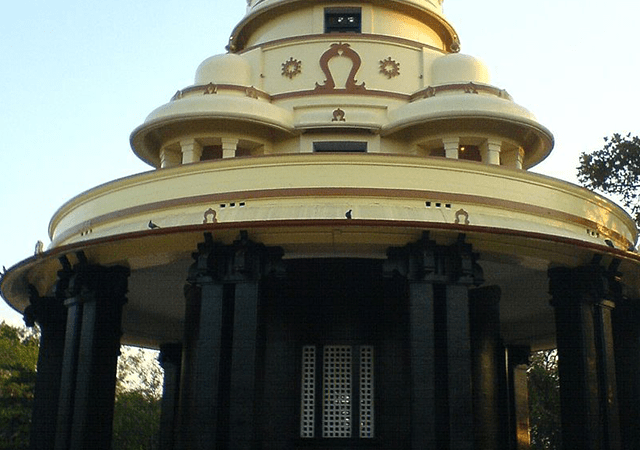 The Sivagiri Theerthadanam is a religious pilgrimage undertaken by devotees of Sree Narayana Guru to his tomb in Sivagiri, Varkala between 30th December and 1st January. Squeeze in one last vacation to Kerala before the year is over. You can join in the Christmas celebrations in Kerala, relax by the beach, hike up a nature trail and ring in the New Year with joy. Don’t miss all the beauty that Kerala has to offer!